Suzy and Issy, who run Seasons Eatings, have known each other since University; they were in halls together and had neighbouring rooms. With Suzy studying Pharmacology and Issy doing English Language and Literature, there was no hint in those early years that would both end up being chefs. A few years later, succeeding the pursuit of ‘proper jobs’ they both came to the conclusion that they needed a change, and, both found themselves eventually working in Levenshulme’s beloved Trove. How did you both end up being chefs? Suzy: After I finished Uni I went travelling, and then got a job in a bank in London. Then I was made redundant, so went to do a ski season and started cooking there, then cooked on Yachts, and then I came back and did a cookery course. Following that, I worked in restaurants in London and then moved back up north and started working in Trove. Issy: I worked for the council for a while, but I didn’t enjoy the job. I’d actually always wanted to be a chef, but I’d decided against it (feeling that I should get a ‘proper’ job too). In the end I left and I did a four-week cookery course in Devon and then got a job at the Hilton following that. After working at various other restaurants in Manchester I also work in Trove now. How did the Supper Club at Trove come about? Issy: We have always both been interested in food and began discussing creating our own venture about this time last year. I visited Suzy in London and ate in the restaurant she was working in at the time. Afterwards we had a few drinks and formed our business plan at the table in a falafel shop in Hackney where the owner kindly let us drink our wine! In the morning it was basically a scribble with 3 words on it. One of which was supper club. We still have it and plan to frame it in our restaurant, if we open one! Suzy: We didn’t intend to start the supper club at Trove initially. Issy: We’d thought about using a friends’ Antique shop in Stockport because it didn’t get used in the evenings and is an unusual and beautiful space. Unfortunately that didn’t work out in the end as cooking there would have been too difficult. They suggested asking Marcus and Katy at Trove instead. Suzy: We spoke to Marcus and Katy and Trove about starting a Supper Club, and at the same time they mentioned they needed a chef. They asked if either of us were interested – Issy already had a job at the time, at Damson – so I took them up on the offer. Issy: Eventually, because the supper clubs were taking off, working full-time at Damson became too much. I was looking for something part-time and they needed another chef at Trove and so I took that. Now we both work at Trove, but at opposite ends of the week. 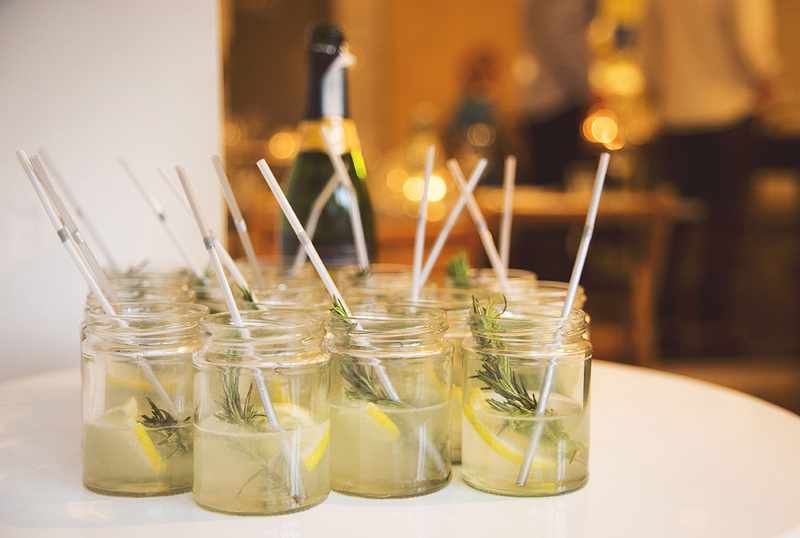 How often are the ‘Seasons Eatings’ supper clubs? Issy: We did our first Supper Club in September last year. We do one a month at Trove and we now do one a season at Fig and Sparrow in the Northern Quarter. We’ve also done one at the North Star Deli in Chorlton, previously. How do you find diners? Issy: We find customers via Twitter mainly. We were scared that no-one would come to the first couple of events, and we asked a couple of our friends to come along, but now we fill up quickly and people contact us all the time. What kind of food do you cook as ‘Seasons Eatings’? Issy: We enjoy cooking everything, but, for us the main thing is seasonality. 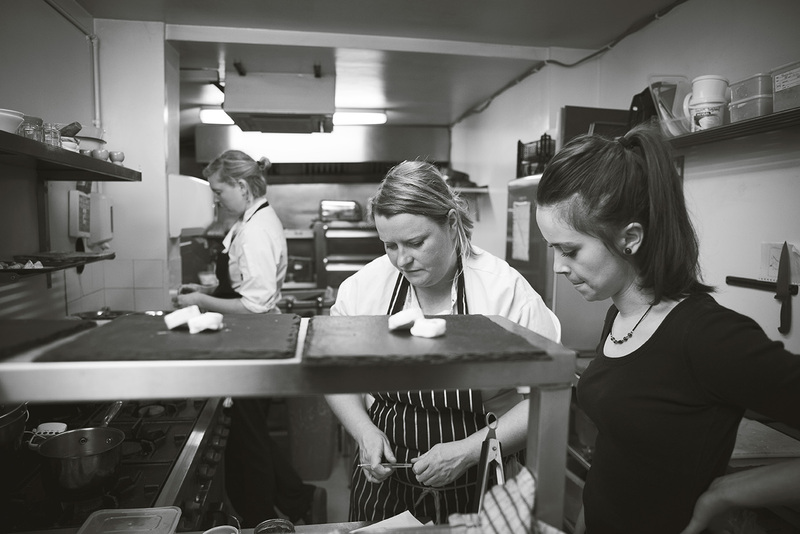 At Trove we always do a 4 course menu: an amuse bouche, a starter, a main, a dessert – Suzy tends to do the desserts. She’s really good at them and makes great ice cream! Suzy: We held a stall at Heaton Moor Market for a little bit. It was a bit of a sweet stall with Marshmallows, fudges, etc, but it’s got to have that Seasonal focus. For us that’s the main thing. Issy: we tend to cook more British influenced food because we use seasonal ingredients, generally from the UK. We occasionally use food that’s seasonal in France, but we are very strict about how seasonal the food is. It’s our ethos and our name; it makes sense to us. However we have both travelled widely so other influences are involved too. Issy: We try to get a lot of stuff from Unicorn in Chorlton because we like them and what they’re about, and they always have quality stuff, and they tend to sell Seasonal food anyway, so they’re perfect for us. We get meat from Frosts in Chorlton because of the quality. Fish comes from Easy Fish in Heaton Moor or sometimes Out of The Blue – occasionally different shops will have different stuff. 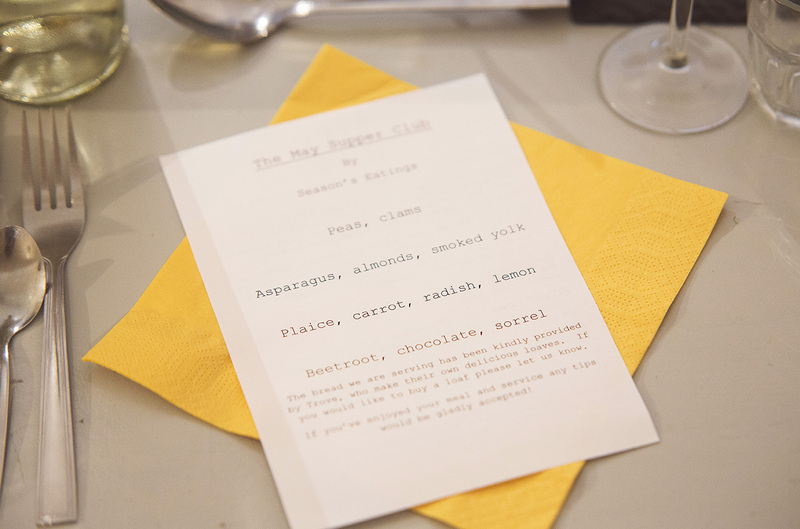 How do you decide on the menu for the Supper Clubs? Issy: I watch a lot of food programmes. I’m also keen on Instagram; when we’re looking for ideas it can be really useful. We also eat out quite a lot. We’ve just got back from a trip to Paris ‘for inspiration’. It was great; we got loads of ideas there. It’s important to do stuff like that, though. Working in restaurants I learned a lot of new techniques, now I try to teach myself. It’s important to keep moving and not just keep repeating the same old things you’ve done time and time again. We’re both hoping to fit in some stages this year to keep up learning. In Paris, co-incidentally, we were secretly taking Instagram photos of the food we’d eaten, and sneaking our phones out as the waiters left the table. There’s a real thing about taking photos of food over there at the moment – it’s really frowned upon. We’d realised that we’d never remember what our meals looked like and so we’d take notes while we were eating, but we couldn’t remember what the dishes looked like 10 minutes later. In terms of planning the menu, the past few months have been challenging. They refer this time of year as ‘The Hungry Gap’ historically. The Winter food runs out and Spring hasn’t quite started; there’s lots of celeriac and root vegetables. We have a real interest in growing our own stuff too; we have an allotment which we share with friends and we do grow quite a lot. How many covers do you do at the Trove Supper Club? Suzy: We do about 18-20 covers in Trove. They’ve recently had a refurb, and have brought the counter to the front of the shop, so I think they can fit a few more people in now. They can show the bread off a bit more now – that’s a big part of Trove. I think previously it was easy to walk past and miss what Trove was; it’s quite a subtle looking shop. Do you think location works in your favour? Issy: In terms of location Trove works well because we’ve got Levenshulme train station nearby, so it’s not too bad for travelling to – people come from all over Manchester. We do have a few regulars now, but there are always new people too. In this area and towards Stockport there aren’t many options when it comes to this kind of food, so I think that’s part of why it works round here. Who helps you out at the Supper Clubs? Issy: We have very lovely, kind, great, good friends who come and help us out and serve on the night. The relaxed atmosphere makes it a fun place to work, I think. The friends who serve the food don’t all having serving experience, but the customers don’t mind so much because they know it’s not a typical restaurant environment. How do you decide seating arrangements? Issy: In terms of seating people we do usually just leave them to it, but, for example, if a big group are coming together we’ll guide them towards sitting on the bigger table. We’ve been to supper clubs in people’s houses, where it’s been quite nice that we’ve all sat together round a big table. Issy: We would quite like to open a restaurant one day. Trove’s been the perfect place because we don’t have overheads and rent. We don’t have to have the worry of, ‘Are people going to come in today?’ every day. We just get to do lots of experimenting, and that’s really nice. Suzy: We have done occasional catering jobs too and we’ve got a wedding coming up next year. It’s really great that people come to us because they like what we’re about. 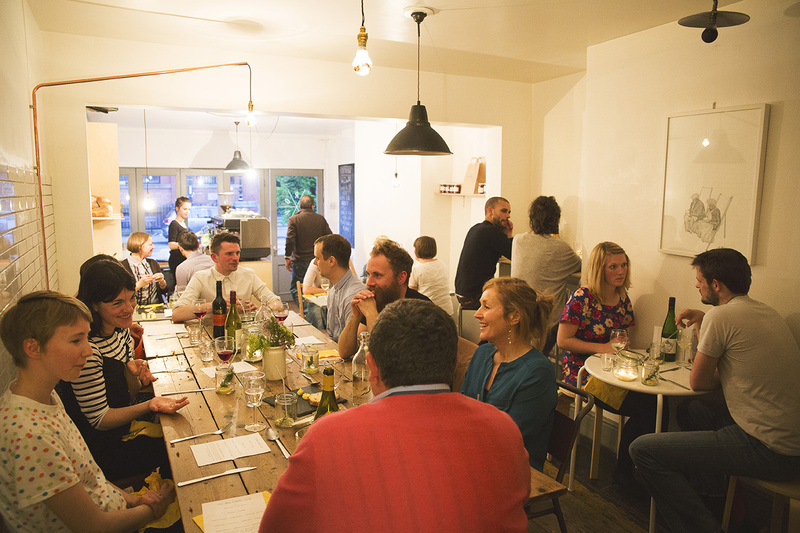 The next Seasons Eatings Supper Club is at Trove on 5th June, although that is SOLD OUT. Following that on 4th July at Trove is a special Summer 6 course tasting menu, and then back to the usual 4 courses on 7th August, again at Trove. Seasons Eatings are also doing a couple of special supper clubs at their house for Levenshulme Food and Drink Festival on 21st and 22nd June, serving some veg and fruit grown by their own fair hands. There will also be a Summer supper club at Fig and Sparrow but don’t have a date for that one that yet. To keep up to date with the latest Seasons Eatings Supper Clubs follow Seasons Eatings on Twitter and Facebook.